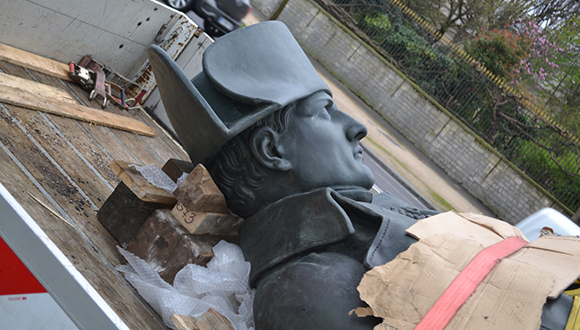 The statue of Napoleon I returns “home” to the Invalides ! After 282 days in “exile”, the fully restored bronze statue of Napoleon I in his campaign coat by Charles-Emile Seurre was reinstalled in the Court of Honour of the Hôtel national des Invalides. You are cordially invited to come and admire the Emperor Napoleon I !